Are you fed up with those tedious game progresses which you need to complete before unlocking the new levels and inventories. If yes then probably you have thought that “I need to hack this game “but the next moment you realised how? How can I hack this game? Don’t worry I will describe below the easiest methods to hack any Android game. Before getting into the final topic let me tell you that there are basically two types of android games. The offline games can be played without internet connection but the server based games need an internet connection to store data and connect other players. Online server based games are little tricky to hack and need some serious ethical hacking skills whereas Offline games are easy to hack. There are several methods to hack an offline android game below I am sharing some of the popular and most effective methods. Every offline game has its own procedure to store and implement the game data. Most of these games store their data in this location “Android/Data/package name of the game”. In this method a user can get the unlimited resources in the game by only replacing the saved data of a particular game. You can get the saved game data of game from a friend’s mobile who is having more resources than you or simply Google for the saved game data along with the name of game you want to hack. Most probably you will get the saved game data of a particular game on gaming forums or on some hacking website. To replace the game data firstly you will need to identify the folder where the game is storing its data. In most of the cases the android game’s data is stored in Android/data/package name of app/game. To find the package name of a particular android game simply go to setting->Apps->click on the app and it will show you the game’s package name. So now you have got the location of game data now simply delete the entire data of that folder and go to setting of android and hit clear data of that game. Now put the game data you downloaded from the internet in the same location you deleted the data. Run the game it should now work fine with the new game data. This is the easiest method to hack an android game. In this method you simply have to download the modified version of the game you want to hack. Search for the mod apk of a particular game and install it on your device. Haxoid and onhax are some popular websites which provides you the modified apk. 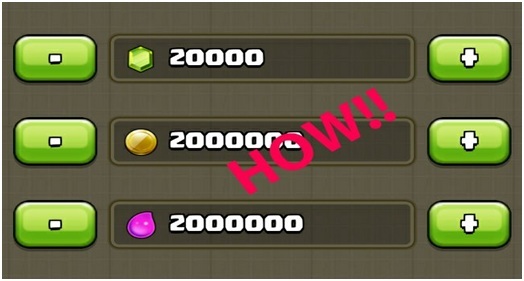 Most of the android games have an option to purchase the game resources by spending real money. But what if you get the in app-purchases for free. There are several apps like lucky patcher and game killer which can be used to bypass the in app purchases of the games. These apps sends false verification on behalf of Google play store to the merchant whose in –app purchases you are trying to hack. The detailed article on “ How to use lucky patcher ” is described in this article.